PHOTO: Allen Ramsey, DWCPhoto.com. 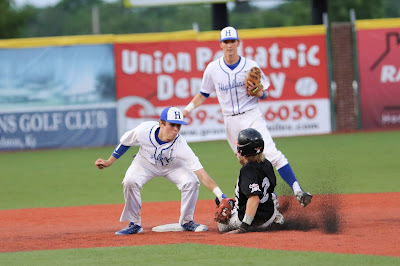 Highlands senior second baseman Grayson Heck (left) applies the tag on Ryle's Brady Ast in the 9th Region championship game on Wednesday while Jake Whitford (center) backs up. 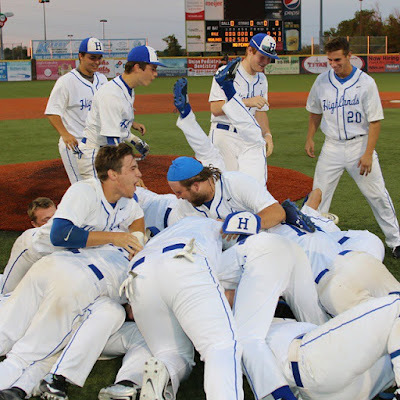 Highlands faces McCracken County at 10 a.m. in the state tournament at Whitaker Bank Ballpark in Lexington. It is near the top of the biggest games, if not the biggest game they've ever played in during their high school athletic careers. PHOTO: Allen Ramsey, DWCPhoto.com. 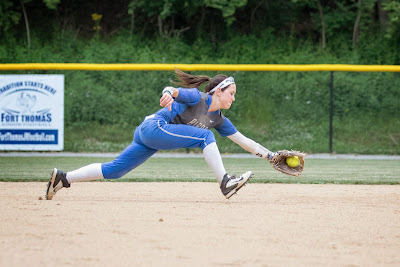 Highlands senior Whitney Quillen connects for one of her four hits in the 9th Region Softball championship game Thursday against Notre Dame. PHOTO: Allen Ramsey, DWCPhoto.com. 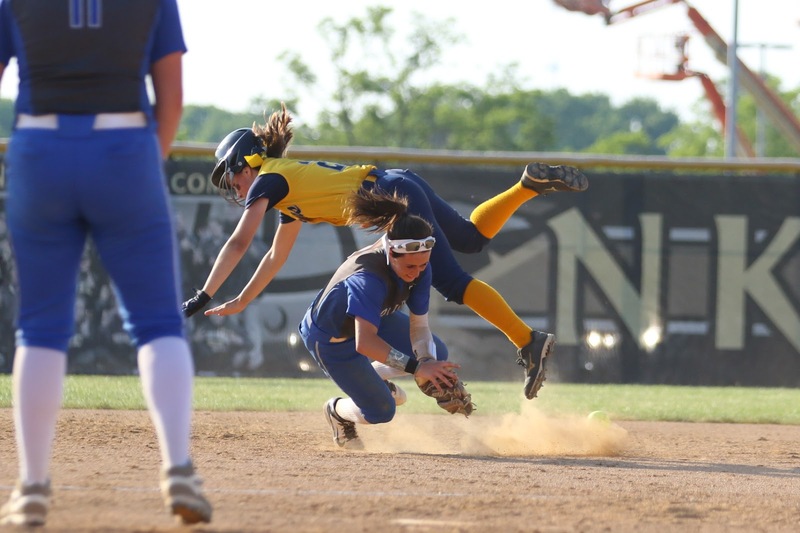 Highlands junior shortstop Haley Coffey (bottom) and Notre Dame left fielder Lindsey Meier (top) collide in the top of the fifth while Coffey tried to grab a ground ball. This game may linger until the start of next season. PHOTO: Allen Ramsey, DWCPhoto.com. The Highlands players celebrate after winning the 9th Region title Wednesday. The Bluebirds will make their first state tournament appearance since 1973. PHOTO: Allen Ramsey, DWCPhoto.com. Highlands senior and Tournament Most Valuable Player Jake Whitford (4) goes up to make a play. PHOTO: Allen Ramsey, DWCPhoto.com. Highlands senior Brady Murray slides in safely in the third inning to score the game's first run. He came all the way around from first base on the play. FLORENCE - From the last out in last year's title game, the returning players primed up to come back and ram through the doors to that elusive 9th Region baseball crown. PHOTO: Allen Ramsey, DWCPhoto.com. Highlands junior catcher Shelby Graybill blasts a home run in Wednesday's 9th Region semifinal contest against Conner. Highlands won 6-0 and will play for its second straight region title Thursday at 5:30 p.m. back at Northern Kentucky University. HIGHLAND HEIGHTS - It seems to be a new Highlands tradition. 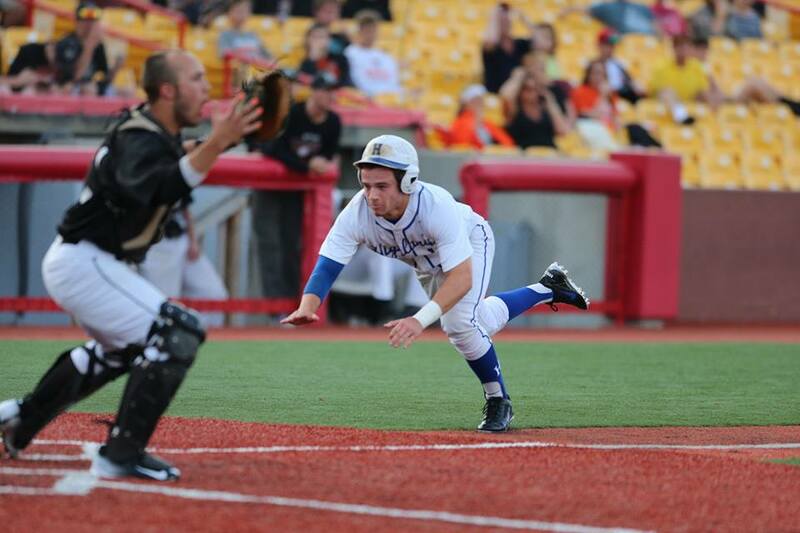 The underdogs needed another big performance to make a surprising return to the 9th Region baseball title game. PHOTO: Jennifer Jones. Highlands senior Mitch Jones (2) delivers home in a recent game while D.J. Mills (left) waits at first base. 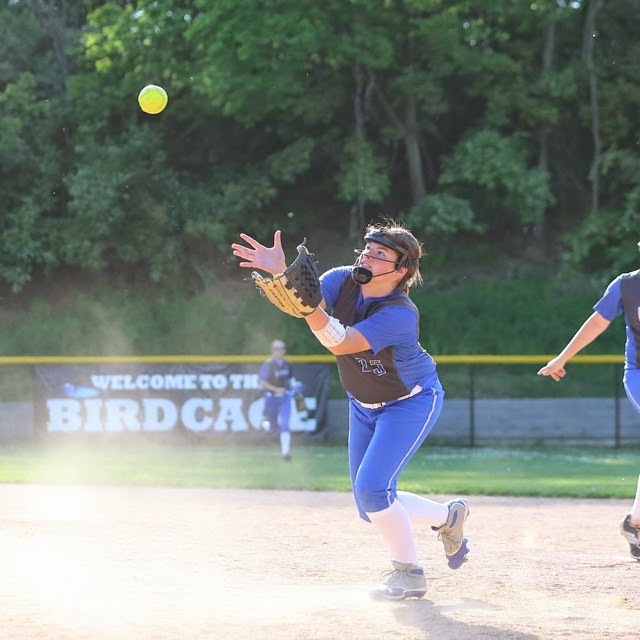 Jones moved to 7-2 with the pitching win for the Bluebirds in Tuesday's 4-2 9th Region semifinal win over Boone County. Jones retired the side in the seventh inning. FLORENCE - This is the spot they have been aiming for since their season ended about a year ago. 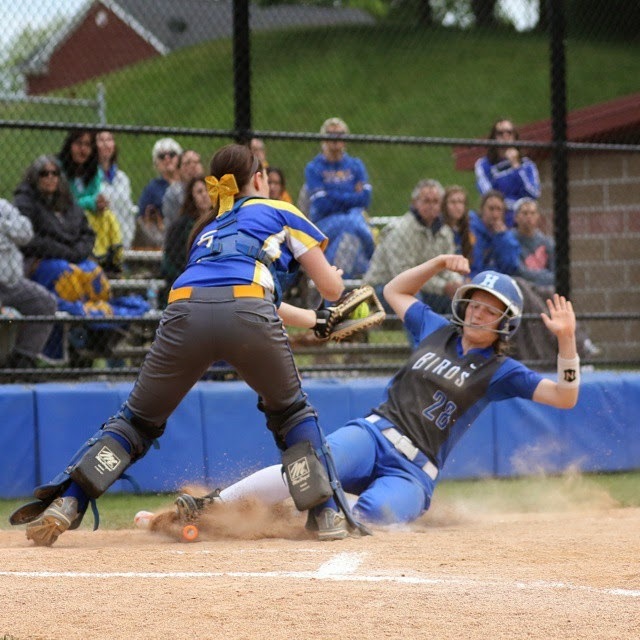 All four 9th Region softball teams that qualified for the semifinals stayed alive another day thanks to Mother Nature. PHOTO: G. Michael Graham. The Newport Central Catholic baseball players and coaches watch during Monday's 9th Region Quarterfinal game against Dixie Heights. The Thoroughbreds won 11-1 in five innings. FLORENCE - Their below-.500 record may convey they've come into the 9th Region Baseball Tournament with less pressure than usual. PHOTO: Allen Ramsey, DWCPhoto.com. 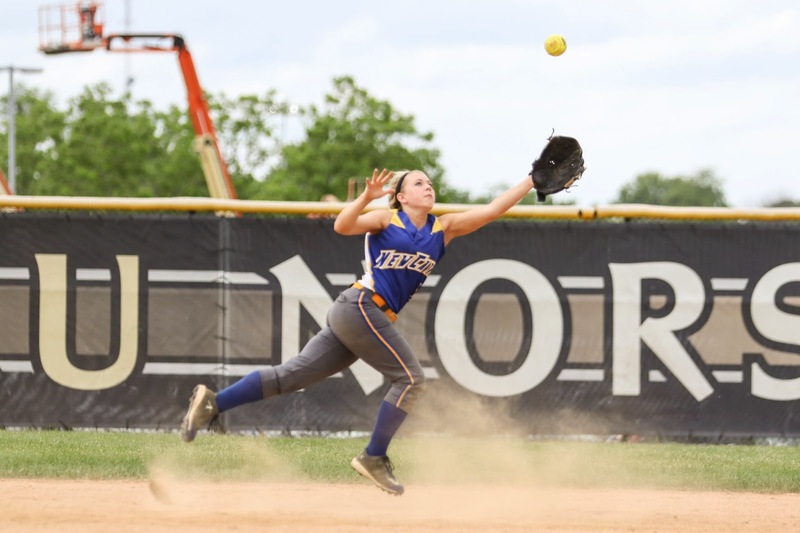 Newport Central Catholic senior shorstop Michaela Ware ranges to make a catch in the fourth inning of Monday's 9th Region quarterfinal game at Northern Kentucky University. 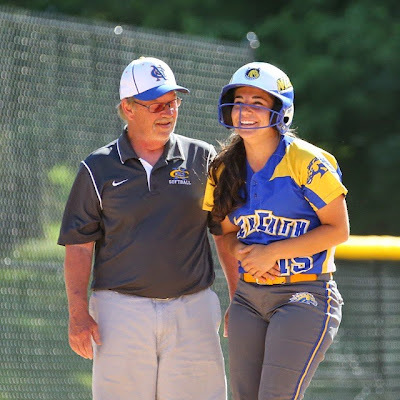 The Notre Dame Pandas happened to be the opponent three years ago when the Newport Central Catholic Thoroughbreds last won a 9th Region Softball Tournament game at Northern Kentucky University. PHOTO: Allen Ramsey, DWCPhoto.com. Highlands second baseman Rachel Gabbard dives after a ball in Monday's 9th Region quarterfinal game against Beechwood. Gabbard went 3-for-3 with a triple and RBI in the 12-0 Highlands win. From this point forward, the Highlands Bluebirds baseball and Ladybirds softball teams know they will have to earn everything. Todd Ramey - 3-for-4, Double, Three RBI, One run scored. Jake Whitford - 3-for-3, Double, Triple, Two RBI, Three runs scored. Luke Hennigan - 2-for-3, Triple, One RBI. 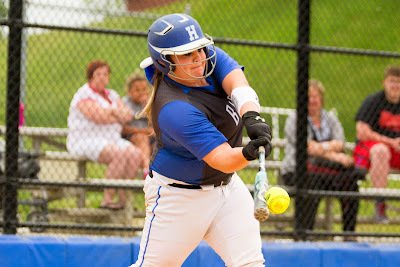 Haley Coffey - 2-for-4, Triple, Three RBI. 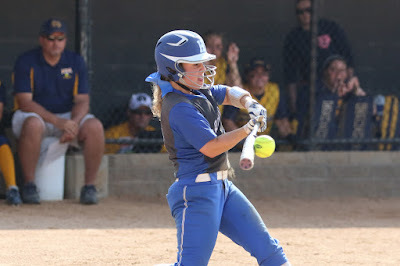 Rachel Gabbard - 3-for-3, Triple, One RBI. PHOTO: Allen Ramsey, DWCPhoto.com. 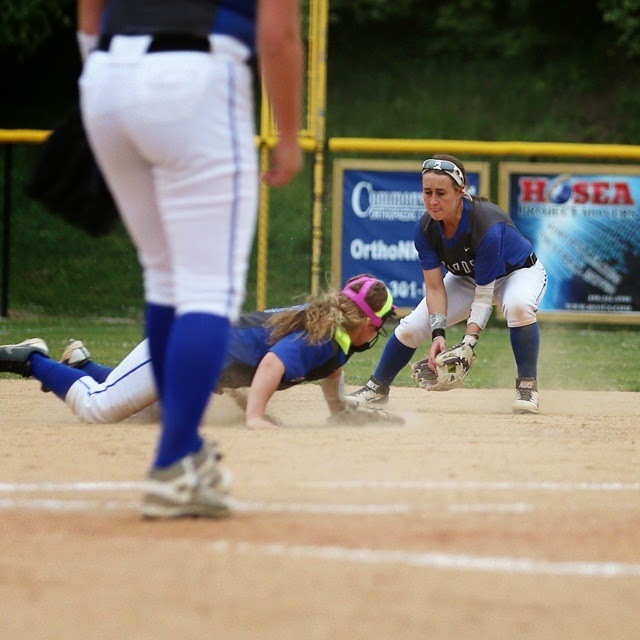 Highlands freshman Josie Daley (28) slides in for a run in Thursday's 36th District championship game. Highlands opens the 9th Region Tournament against Beechwood on Monday. The Highlands baseball and softball teams received good draws for the 9th Region quarterfinals Saturday. PHOTO: Allen Ramsey, DWCPhoto.com. 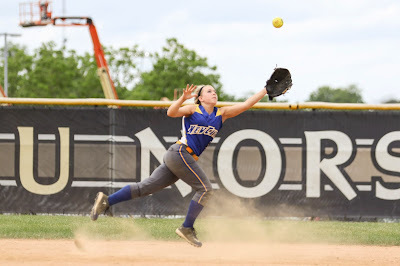 Highlands shortstop Haley Coffey ranges to grab the ball in Thursday's 36th District championship game. PHOTO: Allen Ramsey, DWCPhoto.com. 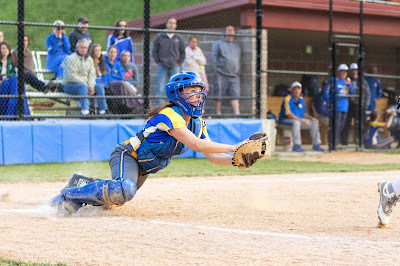 Newport Central Catholic catcher Kristen Schreiber makes a diving catch in Thursday's 36th District title game. BELLEVUE - It was a Blue and White day in 36th District championship games Thursday. PHOTO: Allen Ramsey, DWCPhoto.com. Highlands junior Shelby Graybill connects in Wednesday's game against Newport. The Ladybirds won 12-1 to advance to the district championship at Winkler Field. The two teams did not expect to have any issues moving on to the next round and proved it with sound victories in the 36th District Tournament semifinals to open the postseason. PHOTO: Allen Ramsey, DWCPhoto.com. Newport Central Catholic senior Loren Zimmerman (right) and Head Coach Denny Barnes share a laugh during Tuesday's 36th District semifinal win over Dayton. 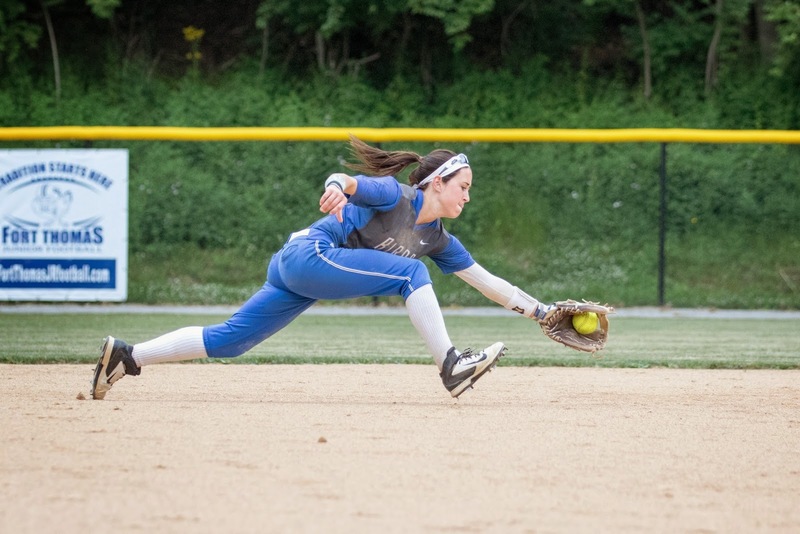 The Newport Central Catholic baseball and softball teams advanced to the 9th Region Tournament with 36th District semifinal wins Tuesday. PHOTO: Allen Ramsey, DWCPhoto.com. 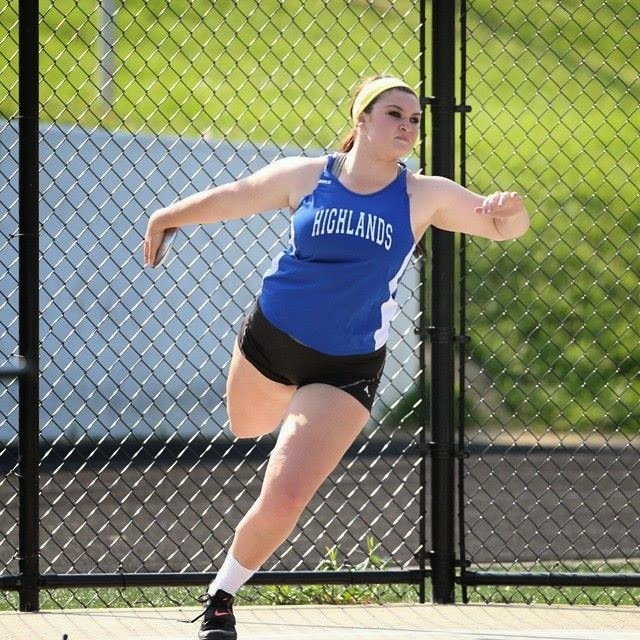 Highlands junior Mikayla Reichert throws the discus in a recent meet. She won the Class 2A, Region 4 discus throw with a toss of 117 feet, 9 inches. The Highlands Ladybirds won the Class AA, Region 4 track and field championship at Scott on Saturday with 175 points. They beat runner-up Lexington Catholic by 11 points. PHOTO: Allen Ramsey, DWCPhoto.com. 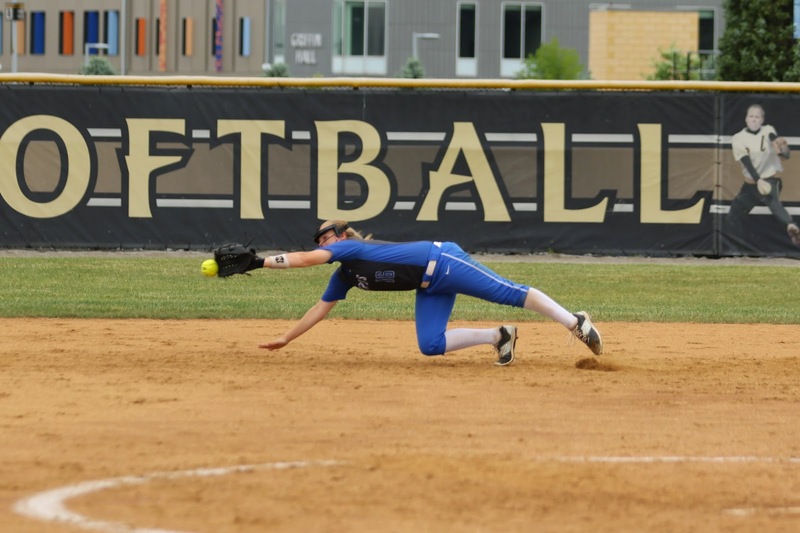 Highlands freshman Josie Daley slides in safely in Friday's game against Ryle. Highlands won 13-0 in five innings for its 20th win of the season. 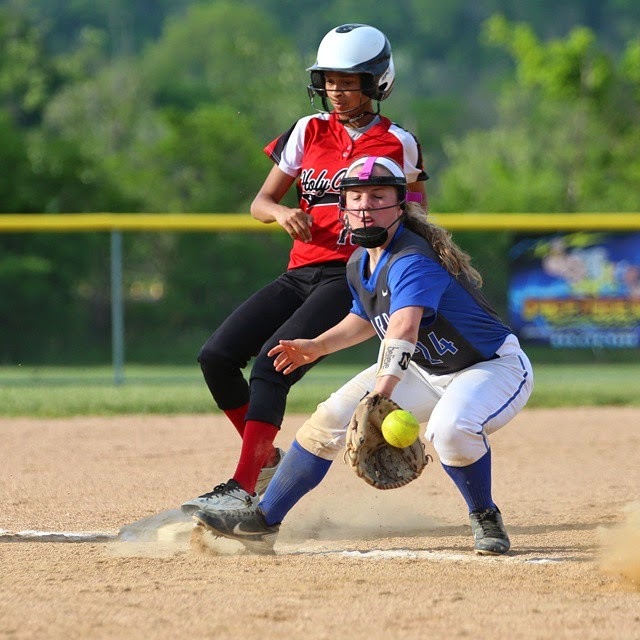 The Highlands Ladybirds softball team entered the postseason with a convincing win. 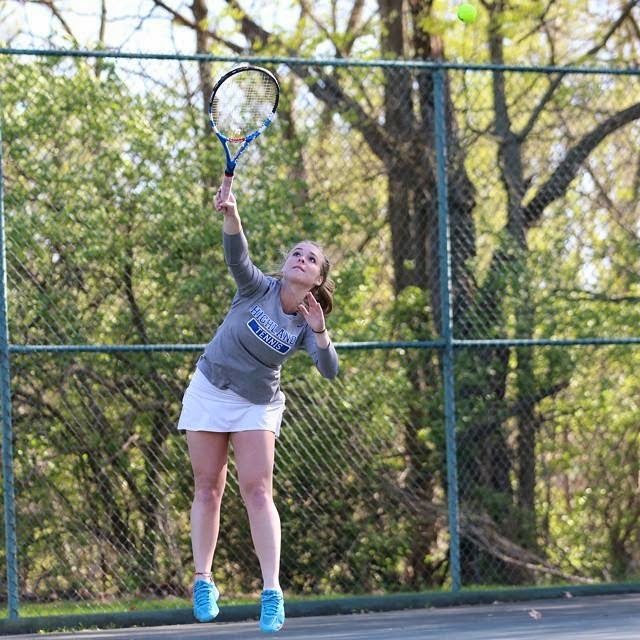 The Highlands tennis teams saw an singles player and doubles team make it to the second day of state competition at the University of Kentucky. PHOTO: Allen Ramsey, DWCPhoto.com. 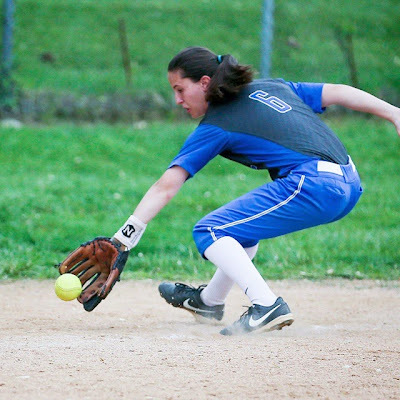 Highlands junior Haley Coffey fields the ball in Thursday's game against Notre Dame. 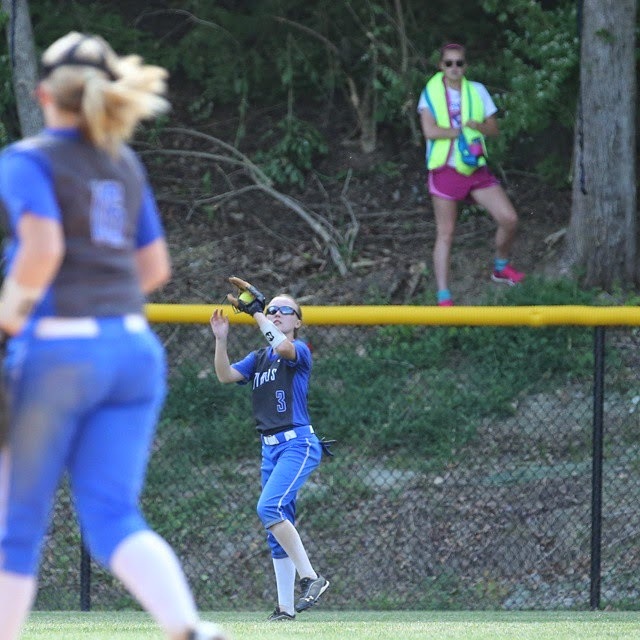 The Highlands Ladybirds softball team had been doing the small things well lately. PHOTO: Allen Ramsey, DWCPhoto.com. Highlands first baseman Brennah Dutcher records the final out Wednesday against Conner. Highlands recorded a huge 3-0 win. 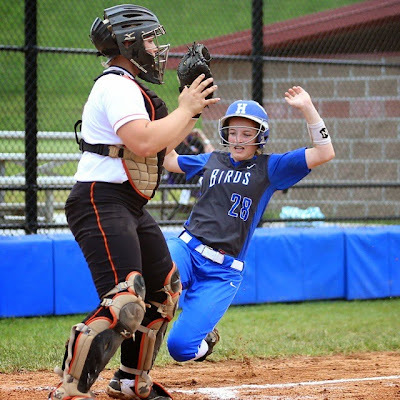 The Highlands Ladybirds softball team recorded perhaps its biggest win of the season Wednesday. PHOTO: Allen Ramsey, DWCPhoto.com. Highlands senior Meredith Laskey is hoping for another shot at the singles state championship after finishing runner-up last year. The majority of the Highlands qualifiers for the state tournament have something that can't be coached. PHOTO: Allen Ramsey, DWCPhoto.com. Highlands freshman Brady Walz throws out the first pitch in Tuesday's game at Highland Park against Covington Catholic while Lou Bunning (right) watches. All proceeds from the game went to Walz to aid his fight against Leukemia. 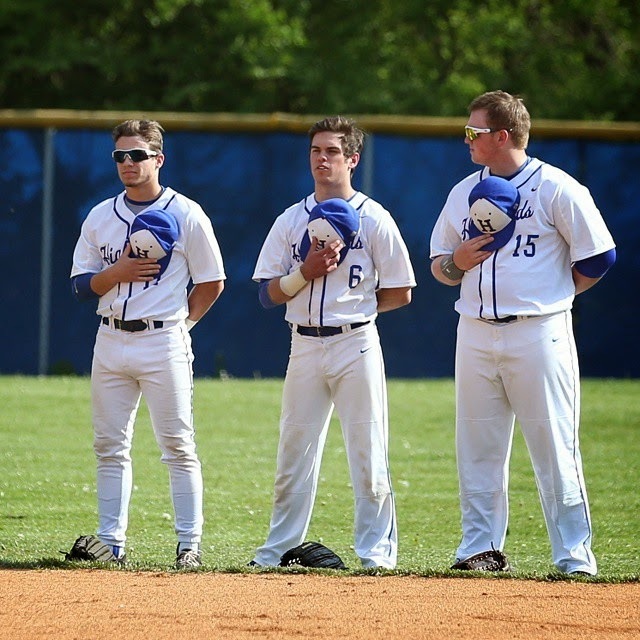 Just seeing the Covington Catholic Colonels in the other dugout served as enough motivation for the hosts. PHOTO: Allen Ramsey, DWCPhoto.com. 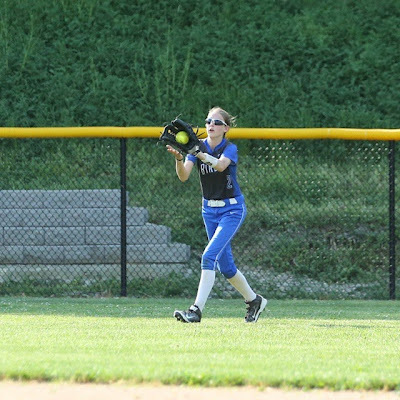 Highlands sophomore Taylor Baioni makes a catch in a recent game. Highlands won its ninth straight, 9-0 over Bishop Brossart on Tuesday. The Highlands Ladybirds softball team (18-7 overall) began the tough week with a 9-0 win over the visiting Bishop Brossart Lady Mustangs on Monday at Winkler Park. 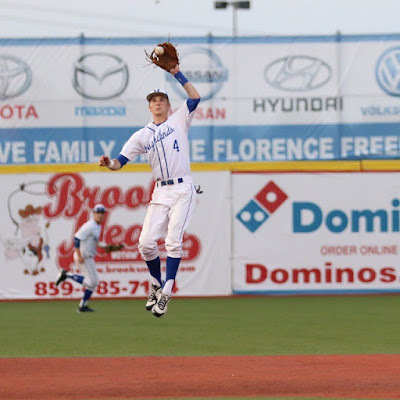 The Highlands Bluebirds baseball team wrapped up another undefeated district seeding game campaign with a five-inning, 12-0 win on Tuesday over the Dayton Greendevils. PHOTO: Allen Ramsey, DWCPhoto.com. 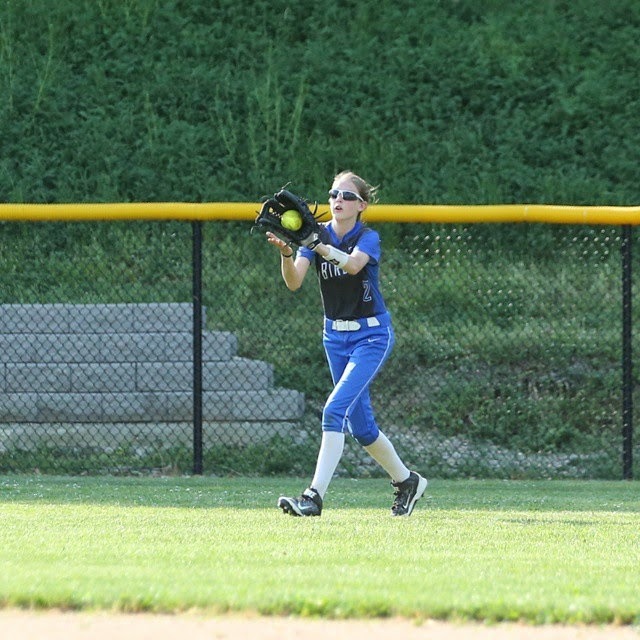 Highlands freshman Brooke Dill makes a play in Saturday's doubleheader. 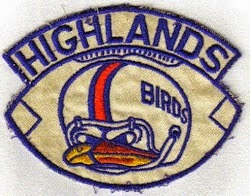 Highlands won both games at Winkler Field to move to 17-7 on the season. It is a combination that makes a coaching staff extremely happy at this time of the year. PHOTO: Allen Ramsey, DWCPhoto.com. Highlands seniors, from left, Brady Murray, Alex Veneman and Lou Bunning watch during the national anthem before a recent game. The St. Henry Crusaders proved no match for the Highlands Bluebirds on Saturday. PHOTO: Allen Ramsey, DWCPhoto.com. Highlands senior Whitney Quillen (24) tries to make a play in Friday's game against Covington Holy Cross. The Highlands Ladybirds softball team handled the Covington Holy Cross Lady Indians, 16-1 to move to 15-7 on the season. Highlands has won six in a row. The bats hit full throttle in their latest 9th Region win Thursday. PHOTO: Allen Ramsey, DWCPhoto.com. 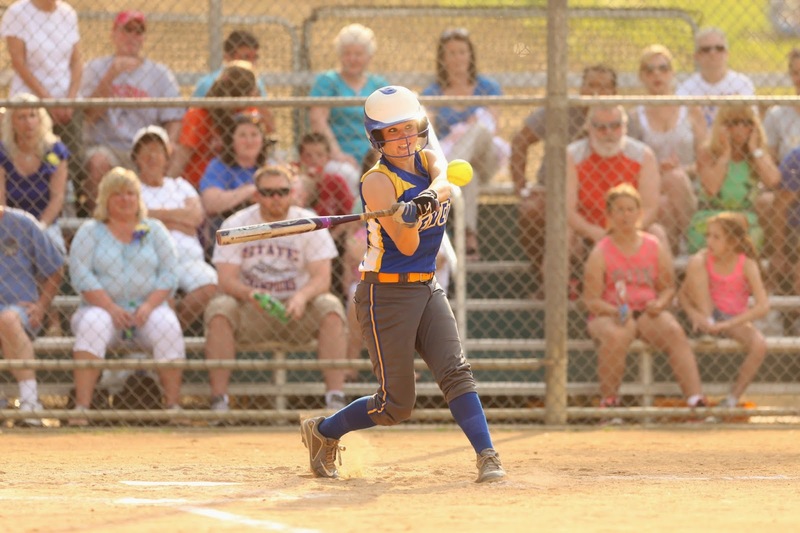 Newport Central Catholic senior Kristen Schreiber hits her second three-run home run against Cooper on Wednesday. The Highlands Bluebirds baseball team equaled last year's win total with an 18-0 five-inning run-ruling of the host Newport Wildcats on Wednesday. PHOTO: G. Michael Graham. Kristen Pratt-Gerrein watches during a recent conditioning session at Walton-Verona High School. The 2006 Highlands graduate led the Bearcats girls soccer team to an All "A" 8th Region championship last fall. It did not take long for Kristen Pratt-Gerrein to get back on the sidelines. PHOTO: Allen Ramsey, DWCPhoto.com. 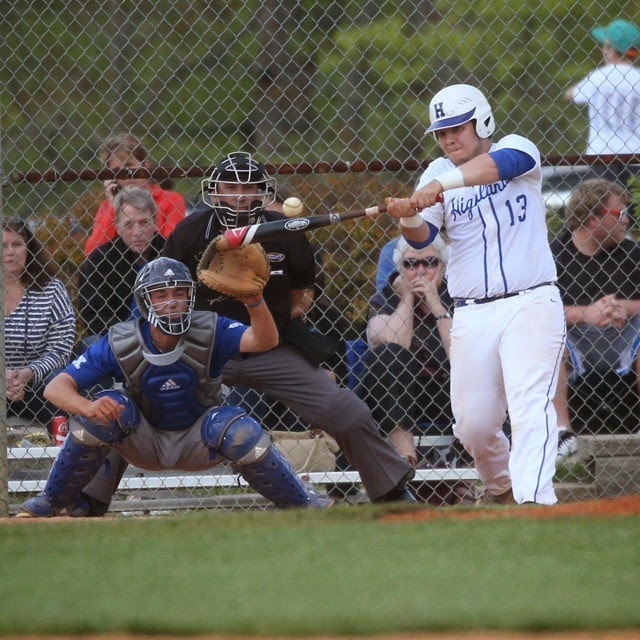 Highlands senior Mitch Jones fires to the plate in a recent game. 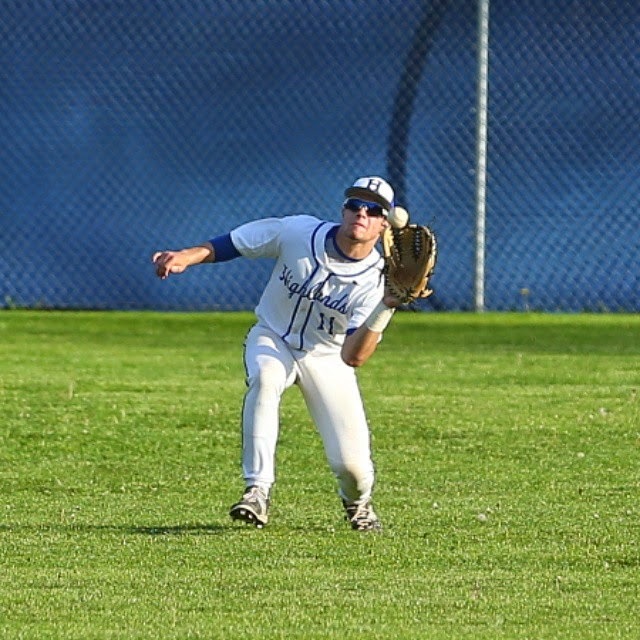 The Highlands Bluebirds baseball team won its second battle in two days against 33rd District opponents. PHOTO: Allen Ramsey, DWCPhoto.com. Highlands sophomore Kara Fornash grabs the ball in Monday's game at Dayton. She went 3-for-4 as Highlands won 11-0 in five innings. The Highlands Ladybirds softball team recorded its second straight run-ruling on the road Monday. 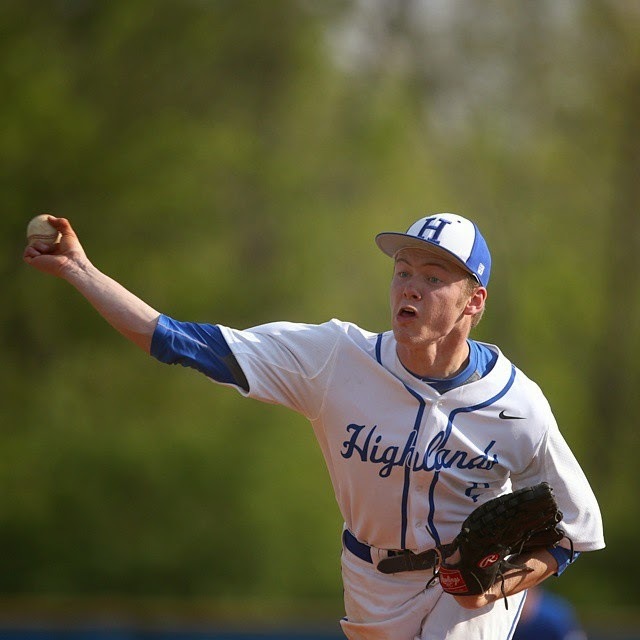 Highlands (12-7) took care of 36th District opponent Dayton, 11-0 in five innings. The Ladybirds finished 3-1 in district seed play. PHOTO: Allen Ramsey, DWCPhoto.com. Highlands catcher Luke Hennigan (13) takes a swing in a recent game. PARK HILLS - It is gut check time for the Highlands Bluebirds baseball team. PHOTO: Allen Ramsey, DWCPhoto.com. Highlands senior Brady Murray makes a catch in Friday's game against Cincinnati St. Xavier. The Highlands Bluebirds baseball team has to wait another day to go after its 20th win of the season.